Can I learn BSL from your website or do I need to go to classes? Our support course covers all the vocabulary and information that you need to sign to a level 1 standard and beyond. Attending a level 1 sign language class would help you to learn regional variations for your area and give you the opportunity to practise your signing. If you want to take BSL level 1 exams then you will need to do this through a local provider. What do I need to use BSL Online to learn sign language? To use BSL Online, you will need access to the internet via a laptop, PC or tablet. You can also access the site via mobile, but the small screen size may make it difficult for you to see the detail in the videos. You will also need time to practise your signing. If you would like to print out the sign reference sheets or the additional printable sheets to help you practise then you will need access to a colour printer. What makes your course different from others? 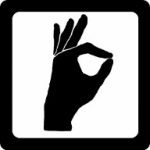 Unlike some sign language videos, the BSL Online course is designed to help you develop your vocabulary, your understanding of BSL concepts and your receptive skills. 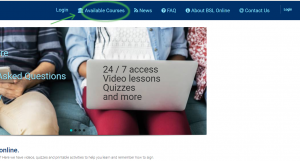 As you progress through the BSL course, the teaching videos also progress, from basic vocabulary to extended descriptions and examples of more complex signing. The interactive quizzes don't just test your knowledge of vocabulary, but also allow you to see signs in context and even learn how to understand unfamiliar signs from context. 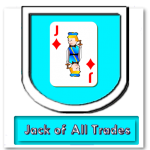 To reward your progress, you will gain badges and points for showing your understanding via quizzes and for participating in the BSL Online community. I am Deaf / hearing impaired / hard of hearing. Is your course suitable for me? Each of our videos begins with immersive signing. This is then repeated with subtitles for new signs. There are no voiceovers or need to listen to sound. I would like to learn BSL and I am under 18. Is this course for me? Certainly. Some of our earliest testers were pre-teens. To use the website you do need to be able to read the subtitles and text so we wouldn't recommend it for under 8s, but the content is easy to use and follow and suitable for learners of all ages. You will need to ask an adult to complete the payment screen; they may prefer to set up your membership for you. At BSL Online the only information that we ask you to provide is your name and email address and optionally your level of Signing experience. There is the ability to set a profile picture. For user under 18 we recommend that a picture of the user is not used; some users do not set a profile picture or use a landscape or a non photographic image. We recommend that you follow online safety guidelines like these, and don't share personal information online. What is the difference between the Introduction to BSL course and the Level 1 Support course? The Introduction to BSL course is designed to be just that; an introduction to British Sign Language. The Level 1 support course covers 35 topics, compared to the 9 in the Introduction course. Where the topics do overlap, the level 1 support course generally covers them in more detail, and with a greater range of examples and reference to wider BSL concepts. The Introduction course focuses more on specific vocabulary; while the Level 1 support course develops to include much more complex situational and extended signing, including concepts such as placement and sign order. The level 1 support course is designed to cover the full range and complexity of signing needed to achieve a level 1 qualification and beyond. 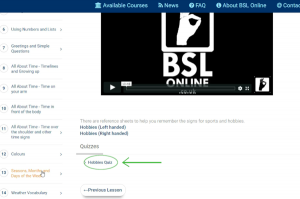 The Level 1 course also allows access to the Online BSL dictionary, which has over 750 signs. You convinced me! I want to learn BSL; how do I sign up? First click on the 'Available Courses' link at the top your screen, or click here to jump straight to the course purchase page. On this screen you can see the courses which we offer. Each has a 'Buy Course' course button (Take Course in the case of the BSL taster course). Click on the buy course button for the course which you would like to take. On the next page, you will need your name and email address, your coupon code if you have one and a method of payment. 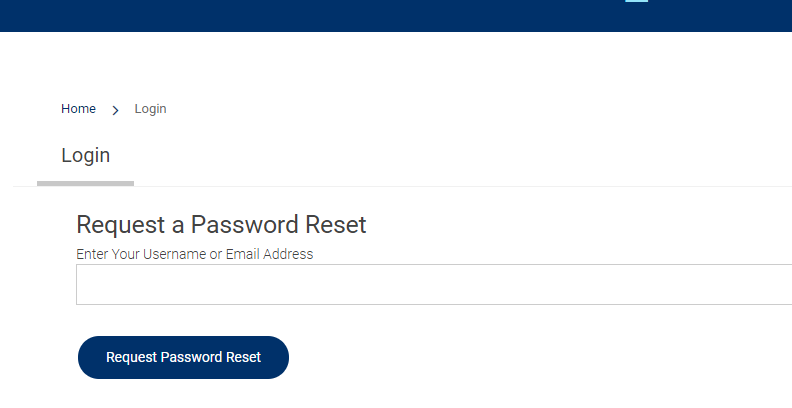 On the login page, click on the lost password link and follow the instructions. I have watched a video. All I saw was an incredibly handsome man gesturing. Where is the sound so I know what is going on? Each of our videos begins with immersive signing. This is then repeated with subtitles for new signs. There are no voice overs or need to listen to sound. This enables hearing learners to focus on the important aspects of signing, without being distracted by trying to understand through their ears not their eyes, and also enables Deaf and hard of hearing learners to access the course on an equal footing. If you find the unsubtitled videos intimidating to start off with, then you can skip through to the halfway point and watch the subtitled version straight away. As you progress through the course we recommend that you stop doing this as the videos are not just a way to learn new vocabulary, but also to practise to your receptive BSL skills, which are a vital part of BSL communication. Don't forget that you can watch each video as many times as you would like. I want to take a quiz. How do I do that? Each quiz is part of the lesson that it is based on and can be taken as many times as you would like. The quiz can be found at the bottom of the lesson page. 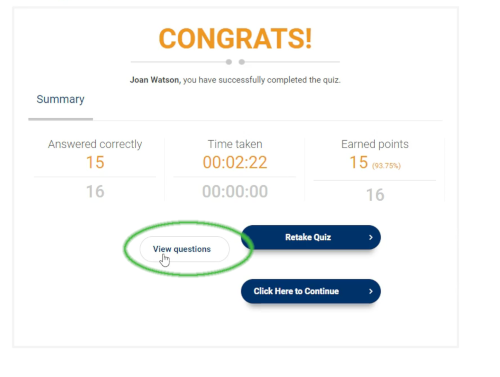 Within the quiz you can rewatch each video until you are sure of your answer, and you can take each quiz as many times as you like, even after you have passed it. I took a quiz. How do I know which questions I got wrong? At the end of each quiz, you can click on the 'View Questions' button. You can then view each question and video as well as your answer and the correct option. I am trying to take a quiz but I am having a problem. Help! 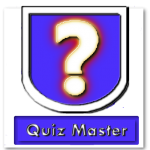 Some of our quizzes can only be taken if you have completed and passed an earlier quiz in the same section. For a quiz where you need to drag and drop images or videos you need to 'drop' the item into the grey box. If you are having a different problem, please try refreshing your screen. If you are still having difficulties, please email us, preferably including a screenshot of the issue. I am trying to look at the dictionary but I am getting an error message. The dictionary is not included in the free BSL Taster course or the Introduction to BSL course. If your course does not include the dictionary then you will see an error message if you try to access a dictionary page. Dictionary pages are only accessible for logged in users. If you are having a different issue, please email us, preferably including a screenshot of the error message. My friend / cousin / aunt / acquaintance / a passing stranger says that you have one of the signs wrong. How could you do this to me? Just as in English, in BSL there are sometimes different ways to refer to the same thing. Our videos do show some common variations but to include all variants and regional differences would make the videos very long indeed. Rest assured that all the signs included the course are widespread and have been verified by both Deaf BSL users and qualified interpreters. 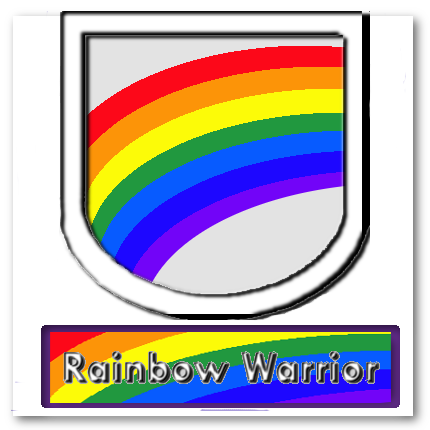 You can get a badge by completing lessons, passing (or failing) a quiz and/or by completing other activities on the site. 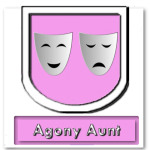 New badges are being added regularly. For the most up to date list, click here. How do I rank up? The ranks are based on progress points. You earn points when you complete lessons. 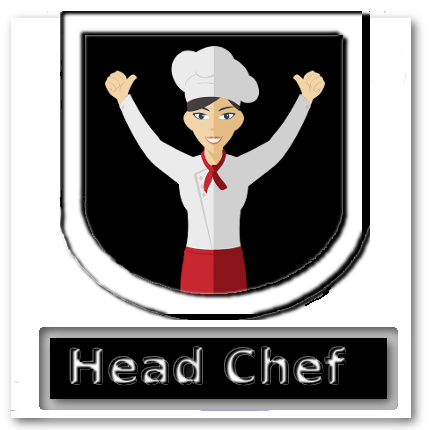 For a list of the ranks and details of the number of points needed, click here. We can accommodate large groups with a 'group leader' and offer a discounted rate. 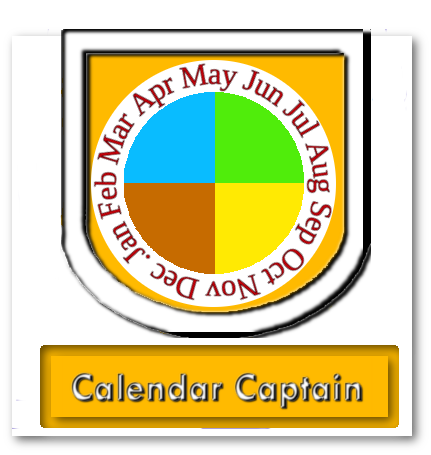 Group leaders can access the progress information of the students in their group . Please get in touch via email for more information & alternative payment methods.